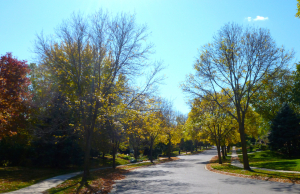 Listed below are homes for sale in Woodland Hills, a neighborhood located in Near West Madison, WI. Listings are updated multiple times a day from the SCWMLS. For more information about any of these Woodland Hills homes for sale, just click the "Request More Information" button when viewing the details of a property. We can provide you with disclosures, past sales history, dates and prices of homes recently sold nearby in Madison, and more. And, for your convenience, register for a free account to automatically receive email alerts whenever new Woodland Hills listings come on the market that match your search criteria. Modern and environmentally conscious design features abound in Woodland Hills on Madison’s west side. This quiet residential nook is surrounded by the green spaces and forested areas of eight city parks, including Woodland Hills Park at the heart of the neighborhood. 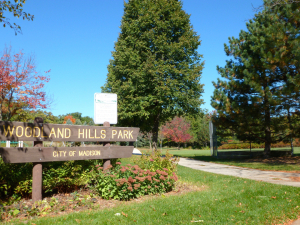 Fifteen acres of rolling bluffs, basketball courts and play areas make Woodland Hills Park perfect for children, adults and pets alike to stretch their legs. Neighbors here have forged tight bonds over the years, and they take a great deal of pride in the neighborhood. Two community gardens — Gammon Gardens along North Gammon Road and Old Sauk Gardens along North Westfield Road — boast more than 78 plots for residents to enjoy. Primarily developed in the mid-1980s, Woodland Hills is a newer neighborhood. The architecture and green features incorporated into many of homes reflect that, too. Homes often feature passive solar energy, super insulation, alternative sources of energy and earth shelter features. Those modern amenities are great for the environment, and they’re great for your pocketbook, too. Aesthetically, neighbors describe homes in the neighborhood as “contemporary.” Natural wood siding and understated features mesh well with the natural feel of the area. Many of the homes were built on cul-de-sacs, which reduces traffic and makes for private yards. The average home was built here in 1985. Connectivity is another attractive feature of this neighborhood, with greenways extending through the neighborhood to the west to Wexford Park and north to Stricker’s Pond across Longmeadow Road. Condominiums and town homes are situated around a reflecting pond in the northeast corner of the neighborhood and along its southeastern corridor. Woodland Hills’s central location on Madison’s west side is among its greatest assets. Middleton is three miles north, and Downtown Madison is about six miles east of the neighborhood. Shopping is close by, too. West Towne Mall is less than two miles south, and Hilldale Mall is about three miles east of Woodland Hills. Owen Conservation Park is just across Old Sauk Road from the neighborhood, and nearly 100 acres of prairies and oak savannas unfold over the area’s hilly terrain there. Trails for hiking and cross-country skiing weaver through the area, and there are plenty of scenic overlooks to enjoy the sweeping panoramic views of Madison’s west side. For information about finding a home in the Woodland Hills neighborhood or to sell your Woodland Hills home, contact our team for a better real estate experience. 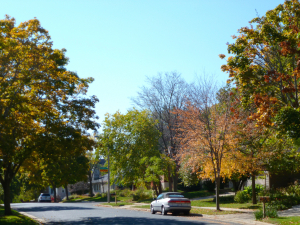 Woodland Hills neighborhood is located on the West Side of Madison in MLS area Madison – W03. Below are more homes for sale in that area.